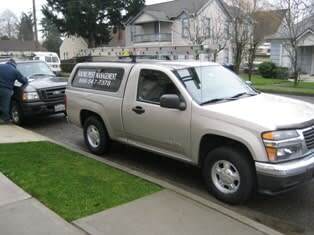 Sound Pest Management is the Seattle area's most trusted pest control service. Since 2002, we have specialized in getting rid of unwanted pests – and making sure they don’t come back. Our expert pest control professionals can help with all kinds of infestations in your home or business. We take every job seriously and ensure your satisfaction each and every time. 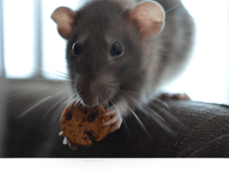 If you have a rat or mouse infestation, you may feel like your home or business has been invaded. When rats and mice get into a building, they gnaw what they need. They destroy building material, furniture, fabrics and more to make their nest, sometimes doing significant damage. Then, they gnaw through your food, contaminating much more than what they actually eat. When you have an ant infestation, hundreds, if not thousands, of ants invade you. They crawl through your house or building in search of food. They are, it can seem, everywhere. 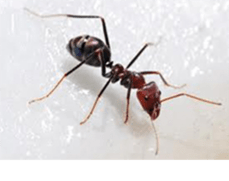 Our expert pest control pros understand ants, how they live and why they do what they do. Fleas are a nuisance, but did you know they can also spread disease and cause tapeworms? If you have cockroaches in your home or business, you have a health hazard on your hands. 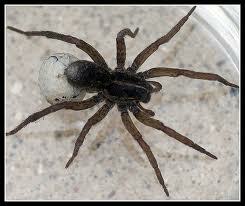 If you’ve got spiders living in or around your home or business, you have a pest problem. If you have yellow jackets, wasps or hornets on your property, you have a potentially dangerous situation. We have successfully used Sound Pest a couple of times.....the first time - prompt service and assistance. Have I mentioned that I hate bugs in the house and some ants were finding their way in? All taken care of. The next time was to follow-up on an inspection after the sale of our house when some possible access points needed to be addressed - the work was promptly completed and the follow-up was great! There was a rat that got stuck in the wall, right next to my bed. The smell was enough to keep me up all night, it was horrid! Joe came in early,immediately located the little stinker, removed it, and was on his way all before I had to leave for work.Looking forward to going home to a stink free room ! Great Customer Service and Quality of product. Never disappointed with this company. I have been in the property rental business for 12 years and have tried other referred companies and i keep coming back to Sound Pest Management. The quality, the follow up and the education of what you are dealing with is great. Frank has alway been available to take care of our companies needs. I will be continue to drag Sound Pest with me and highly refer to my family and friends. I know they will not let me down. When you have a pest infestation, you want it taken care of quickly, safely, and completely. You want pest control experts who take your problem as seriously as you do. You want professionals who will get the job done right, so you can move on with your life. We are the local pest control company to call. You want Sound Pest Management. 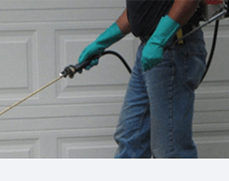 Seattle Pest Exterminator - Same Day Service! When you have an infestation, it disrupts your life. That is why we offer affordable, same-day exterminator service to customers with an active infestation. We get in quickly to inspect and treat the area so your life can get back to normal as soon as possible. Our exterminator service is offered to both residential and commercial pest control customers. With thousands of exterminator clients in the Seattle region we are the local exterminator company they have chosen to trust. We also offer a preventative Pest Control Maintenance Program for customers with recurring infestation problems. With Preventative Maintenance, we remain your pest control partners, visiting regularly to inspect and treat your building so pests don’t come back. If a home or business owner disregards the infestation for too long, the harder, more expensive and more time consuming it can be to stop it. Stop your pests in their tracks. We are open 8 a.m. – 5 p.m. Monday through Friday. Give us a call today at 206-430-1080 or 253-777-1960 to discuss how we can solve your pest problems.